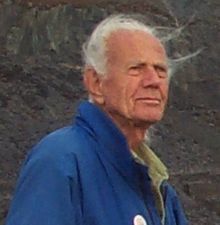 We were saddened to hear that John Dobson passed away on Saturday, January 15th, 2014 at the age of 98. 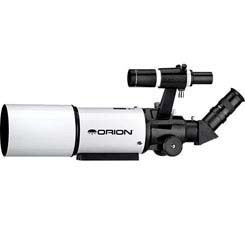 Dobson is most famous for building, developing and promoting a design of reflector telescope that still bears his name: The Dobsonian Reflector Telescope, one of the most popular telescope mounts on the market today. Dobson never laid any claim to the design that bears his name and never made a dime from them. Helium – A crisis or not? Helium is the second lightest element on the periodic table. It is most famous for filling up balloons that float, making your voice sound funny, and other tricks. But Helium is also used in industry for welding, for computers (supercomputers need liquid helium to run properly). And over the last year there was something of a supply problem. Very recently we heard a local morning program complaining that they could not get helium for a balloon that wanted to fill. This lead to a long bit about how part stores were rationing what helium they had and not doing any reservations for balloons at all. How did this crisis come about, and will it end? For the former, you have to understand how helium is obtained and stored. 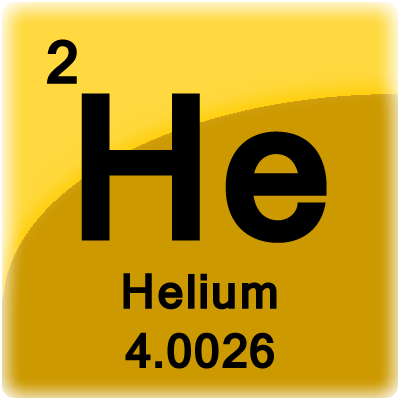 Helium, oddly enough is not produced, despite being the second most common element in the universe. In effect it is mined. It is a byproduct of natural gas and its purity can vary a lot. For a long time, most commercial companies were not interested in producing Helium, so it was left to the government to pick up the slack. This resulted in something of an issue with the government, especially in a time where expenses are being watched carefully. The US government was storing helium at hideous cost for the benefit of a handful of industries. In 1996, after some media attention was spotlighted on the expense of this program Congress decided to sell off the helium and set things up so that the US government was out of the Helium business by 2015. The idea was that reserves would be sold off so that private industry could take over. What happened instead was a glut in the Helium market as the USA tried to sell off the reserves as fast as they could. This dropped the price so low that private industry had little reason to go into the Helium market – there was no money in it to be made. Congress made some motions to act – the Helium Stewardship act of 2012 was designed to stretch out the resources, give extra time to the private industry, and other features. But the bill went to committee and has not passed. Eventually, the glut ended with the excess supply being reined in. The result was shortages in various spots throughout the country. But the shortages may have just been local. While at this years New York Toy Fair we asked a couple of companies whose lines include Helium based toys (such as the Remote Control Shark Blimp pictured). Both of them said pretty much the same thing: Things were tight for a while, but the industry will eventually kick in without too much more problems. Both companies expected that things would settle down once the US moved out of the industry. Prices were expected to get higher, but not extremely problematic. Of course, both of these companies had a financial interested in saying ‘everything will be fine!!!!’. One of the companies sold only Helium based toys while the other had at least other products to fall back on. Nevertheless, it would seem that a company that was in the ‘late buggy whip’ stage of their existence would be hard pressed to justify the expense of displaying their toys at the Toy Fair. The future of Helium seems a bit disheveled at the moment, but hopefully it will correct itself shortly. BuckyBalls – No longer sold in stores! We’ve recently reported on how the Consumer Product Safety Commission has been suing BuckyBalls to try and force them to stop selling their product due to a handful of swallowing incidents. The lawsuit has not gone any further and BuckyBalls has been fighting back hard . But at the same time they have had to take steps to get more control over their product. The result? As of last week, BuckyBalls told its sales reps that it would no longer be selling BuckyBalls to stores and other vendors. You can still get BuckyBalls from their website, but it is exclusively available from them. We have reverted to 2008. This will be a blow, not only to stores that enjoyed good sales of the BuckyBalls, but also to the BuckyBalls company which has probably sold the majority of units through vendors like us. This turn of events was a sad decision in our opinion. We understand why the company had to do it, but are upset that we will not be able to sell this wonderful magnet product. BuckyBalls have been a best selling desktop toy since we added them over three years ago. A bunch of spherical high-power magnets the stick together well, but can be manipulated like silly putty or made into all kinds of cool shapes. BuckyBalls have had their struggles over that time: The biggest issue it seemed was the skyrocketing price of rare-earth neodymium used to make the Buckyballs. But it seems they were causing injuries to children too. Not the very young kids you might expect, but kids in their tween/early teen years. It seems that some kids were using the BuckyBalls to make fake tongue stud or other piercings and swallowing them. Now this might be dumb already, but then you have to consider that swallowing just one BuckyBall isn’t going to be a problem (as long as you stay away from MRI machines. You have to swallow two or more. Then they attract each other in different parts of your intestinal tract and pinch them together the intestines and cause health problems. To date, 2 million sets of BuckyBalls have been sold, with approximately 1 dozen incidents (another dozen have been attributed to other magnets toys) that required surgery. No deaths have been caused by BuckyBalls. It should be noted that CPSC has asked M&O to cease selling BuckyBalls, which is a bit like asking Ford to stop selling cars. CPSC has also targeted BuckyCubes, a product with a cube shape instead of spherical for the same reasons as BuckyBalls, despite there being no incidents with BuckyCubes and a much lower likelihood of any such incidents due to them not resembling tongue studs. In essence, the CPSC has asked M&O to go out of business. Stay tuned to see how this turns out. 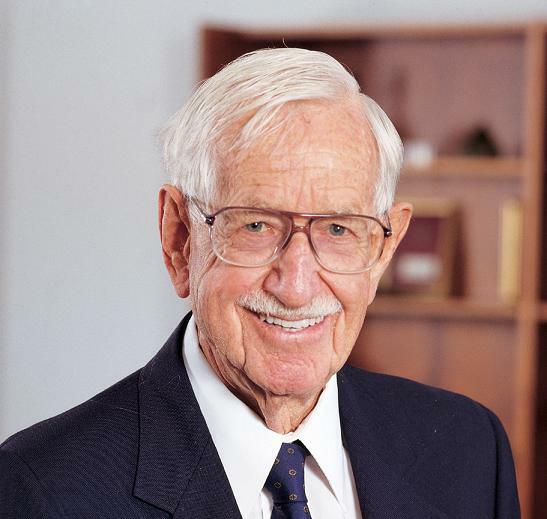 We have just heard that Norman Edmund, the founder of the famous Edmund Scientific, passed away on January 16th. Norman Edmund started a company by selling surplus lenses during WW2. When he couldn’t get a lens for his camera he purchased 10 in a bulk surplus order. Since he now had 9 lenses he did not need he placed a small ad and sold them all quickly. He repeated this with another batch of lenses and soon a business was born. At first it was known as the Edmund Salvage Company, but later on as Norman’s interest in science education made its way into the catalog (at first with products built using more surplus lenses) the company became known as Edmund Scientific. It soon had a catalog that was famous in science circles. Norman would run Edmund Scientific until the 70’s when health issues led him to turn over the reigns to his son, Robert Edmund. Soon after, Edmund Scientific split into two divisions – the ‘Scientifics’ division and the Industrial Optics Division. The former was sold to science supply company VWR in 2001, while the latter continues to exist in Barrington, NJ. Edmund Scientific was a great inspiration to Spectrum Scientifics. Without it this store and website would have never come into being. It is our hope that we follow the legacy of Norman Edmund’s scientific company (a little less so of what VWR made it into). That is our dream. We think we have done a pretty good job, and many folks who remember the Edmund Scientific store in Barrington, NJ remark that our store reminds them of it. For more information. Please visit Edmund Optics press release.